Green cloth boards with colour cover and spine illustration; decorated endpapers. Cover illustration signed: A.M., 1910. Physical Description: , 160 p.,  leaves of col. plates : col. ill., map. Sir Alexander Mackenzie: Crossing the continent [from "The journal of a voyage through N. W. America" / by Sir A. Mackenzie]. Stott, W. R. S. (William Robertson Smith), 1878-1939 ill.
Strang, Herbert. 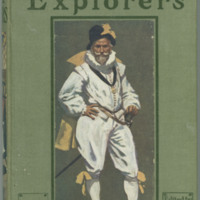 The great explorers: Canada's story. London: Henry Frowde, 1912. 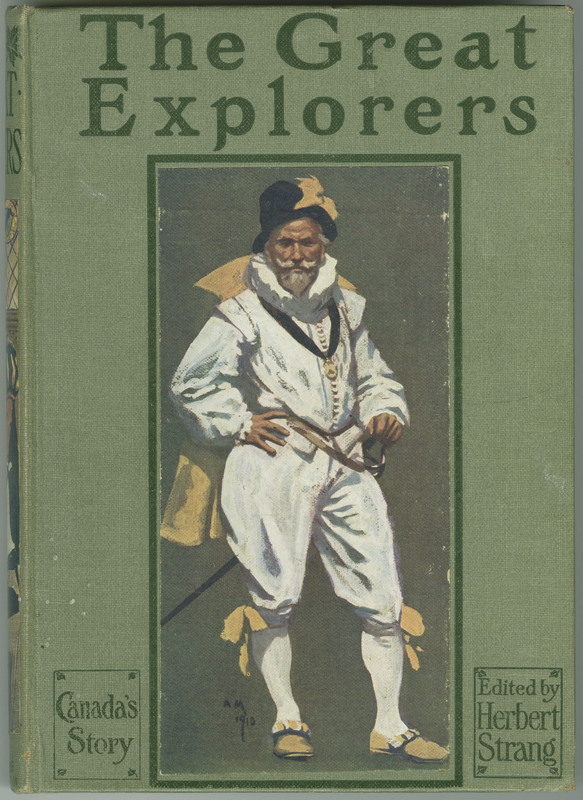 Strang, Herbert., “The Great Explorers : Canada's story,” York University Libraries | Clara Thomas Archives & Special Collections online exhibits, accessed April 21, 2019, http://archives.library.yorku.ca/items/show/4202.